Danny Duffy takes full accountability for his abysmal start to the year, Sam Mellinger of the Kansas City Star writes, but the Royals lefty is still searching for answers after struggling to a 6.51 ERA in 47 innings. As Mellinger explores in an excellent piece, Duffy’s very awareness of the need to improve and dedication to doing so may well be playing into his on-field difficulties. “[W]hen you don’t run from the truth, you’re going to be able to sleep at night,” says Duffy. “And I’m sleeping just fine. When I’m awake, that’s when I’m stressing. So I try to be truthful, man. I try to be honest.” A productive Duffy, whose contract includes $46MM in guaranteed money over the next three years, may well have been a hotly pursued trade piece this summer. Instead, the Royals will likely need to get him on track before considering any potential trade scenarios. The White Sox are going through some predictable growing pains, but as Paul Sullivan of the Chicago Tribune writes, righty Reynaldo Lopez has certainly been effective to this point. Lopez carries a 2.44 ERA through 44 1/3 innings, which is a nice development for a 24-year-old hurler who has long shown promise — but who has also faced questions as to whether he’d ultimately end up in a bullpen role. Of course, it’s worth withholding judgment on his long-term outlook. While Lopez may well end up being the South Siders’ All-Star representative, his good results have not been supported by the underlying numbers. Lopez has been exceedingly fortunate on batted balls (.372 xwOBA vs. .280 wOBA; .202 BABIP) and has not excelled in terms of strikeouts (6.3 K/9), walks (3.9 BB/9), home runs (1.22 HR/9) or groundballs (30.0%). Perhaps he’ll find a way to continue capitalizing on his talent, but it seems Lopez will need to make adjustments to maintain anything approaching his current output. While the Indians are continuing to lead an uninspiring AL Central division, that doesn’t mean it has been all sunbeams in Cleveland. The organization surely anticipated more than a .500 start through forty games after topping one hundred wins in 2017. But the results largely reflect what has to this point been a fairly middling performance from the roster overall. Zack Meisel of The Athletic (subscription link) takes a look at the big picture, diagnosing the bullpen as one key overarching concern. It’s tough to disagree with that fact given the putrid overall performance from the Indians’ relief unit to date. Adding some arms seems a mid-season given, but Meisel also notes that the club has a similar issue on the position-player side, with a group of top-end stars that has not been supported to this point by the reserves. All said, there seem to be quite a few areas ripe for improvement over the summer, which is obviously not preferable but does leave the club with many potential avenues to seek value. First baseman Logan Morrison ended up with the Twins, but many expected the Red Sox to pursue him more aggressively than they did. Alex Speier of the Boston Globe has some interesting quotes from LoMo, who smacked 38 homers for the Rays last season but ultimately settled for a meager $6.5MM guarantee with performance escalators and a vesting option. Morrison says he himself didn’t have any conversations with Boston. His agent spoke with the club during the winter meetings, but apparently “that was it,” and clearly that discussion didn’t culminate in any serious offers. “Am I surprised? I guess. I don’t know,” he said. “I don’t know if it was the most shocking thing I saw [in the market].” The Sox ended up re-signing Mitch Moreland to play first base for them on a two-year, $13MM contract. James Fegan of The Athletic has an insightful rundown of some young White Sox arms. Reynaldo Lopez, Lucas Giolito, Michael Kopech and Dane Dunning have all had their ups and downs this spring, and Fegan was able to get quotes from all of them on some recent performances in camp. For instance, Giolito spoke about his latest outing during which he allowed two runs in the first inning. “It’s one of those days where like, if one pitching isn’t working you can go to the other ones and I was able to do that for the most part after the first inning,” he said. Kopech offered some confidence in his performance. Threw a lot of changeups, changeups were good,” Kopech said. “My main two focuses were fastball command and changeup command. Both were really good. Got a lot of swings and misses on the changeup.” Anyone looking for more quotes from these young pitchers should give the article a full read. The Yankees have officially tabbed right-hander Luis Severino to be the club’s Opening Day starter. Bryan Hoch of MLB.com has some notable quotes from manager Aaron Boone on the subject. “”We feel like it’s his time for it,” Boone said. “With what he was able to do last year, we feel like he’s in a really good place now. We just felt like now is the time for him to take on that role and we think he’s ready for it.” While it’s hardly surprising to hear that the third-place finisher in 2017’s Cy Young voting will throw his club’s first game of the season, the announcement also comes with the news that lefty Jordan Montgomery will officially be given the club’s fifth rotation spot and start the Yankees’ home opener. Too often overlooked in the general talk about Justin Verlander’s contract serving as an impediment to a theoretical trade is the amount of leverage that Verlander’s no-trade clause gives him, opines ESPN’s Buster Olney. Verlander currently can’t become a free agent until after his age-36 season, but his recent return to form would give him the ability to hold out for a contract extension in order to green-light a move to another club. (One middle ground, speculatively speaking, could be to push for his $22MM vesting option for the 2020 season to be exercised in advance.) A strong finish could make that all the more true if the Tigers hold him and look to move him this offseason. Verlander’s last seven starts have resulted in a 1.71 ERA with 9.6 K/9 and 3.1 BB/9, though he’s still received some help in terms of BABIP (.229) and strand rate (91 percent) in that time. Andrew Miller is scheduled to make a minor league rehab assignment on Wednesday this week, and the Indians are expecting him to need just one appearance before being activated, per Paul Hoynes of the Cleveland Plain Dealer. If all goes well, that seems to point to a total of roughly two weeks on the shelf for Miller, who hit the disabled list back on Aug. 3. Hoynes also notes that outfielder Lonnie Chisenhall began a rehab assignment on Sunday, so he could return from a lengthier absence (on the disabled list since July 9) in the relatively near future as well. The White Sox will monitor Reynaldo Lopez’s workload over the rest of the season, manager Rick Renteria tells Brian Sandalow of the Chicago Sun-Times, though the skipper declined to divulge a specific innings cap on the ballyhooed young righty. “I think everybody is very cognizant of pitch counts,” said Renteria. “Like we talked about last night, he has wipeout type stuff. He can strike out a lot of guys. Those guys tend to elevate in their pitch counts sometimes. We will be mindful of that.” Lopez totaled 153 1/3 innings between the Majors, Triple-A and Double-A last season. He’s currently pitched 127 innings between Triple-A Charlotte and his lone start with the ChiSox. Following last night’s trade of Tyler Clippard to the Astros, the White Sox don’t have a single player on their roster with a save in 2017, as MLB.com’s Scott Merkin points out. Clippard, David Robertson, Dan Jennings, Tommy Kahnle and Anthony Swarzak have all been dealt to other clubs in the past five weeks, while excellent setup man Nate Jones is out for the remainder of the 2017 season. Merkin suggests that Jake Petricka and rookies Brad Goldberg and Aaron Bummer could all be candidates to get some save opportunities. Petricka, who has 16 career saves after spending part of the 2014 season as Chicago’s primary stopper, seems to be the logical candidate for saves of that bunch. However, each of the three has struggled considerably at the big league level in 2017. Of the others currently in the South Siders’ bullpen (depth chart), Greg Infante and Juan Minaya have had the best results this season. The White Sox announced today that touted pitching prospect Reynaldo Lopez will make his 2017 debut on Friday. The 23-year-old right-hander will step into the rotation spot of veteran righty Mike Pelfrey, who is being moved to the bullpen. 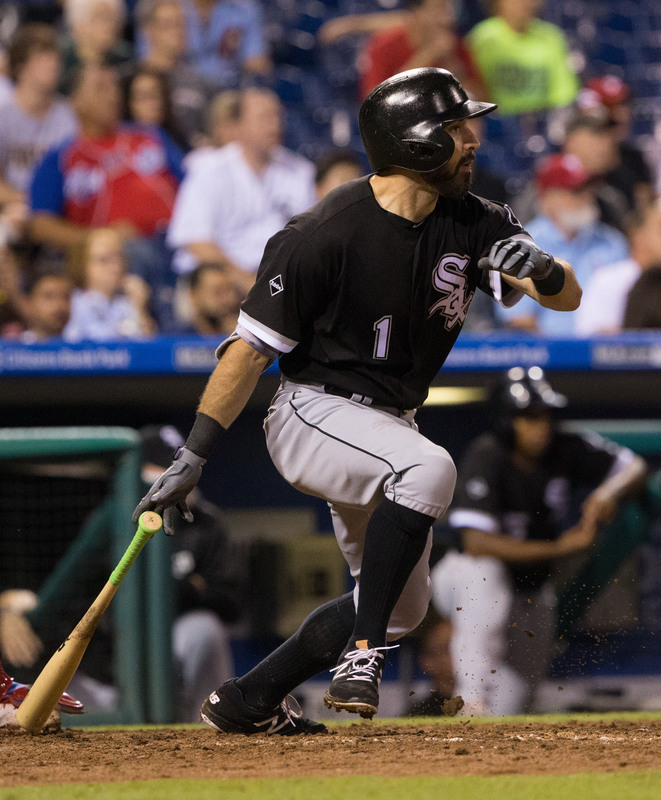 Chicago acquired Lopez alongside right-handers Lucas Giolito and Dane Dunning in the offseason trade that sent center fielder Adam Eaton and his highly favorable contract to the Nationals. Of the three righties acquired in that swap, Lopez has separated himself from the pack as the most impressive of the bunch thus far. In 121 innings with Triple-A Charlotte this season, he’s averaged 9.7 K/9 against 3.6 BB/9 with a 36.3 percent ground-ball rate en route to a 3.79 ERA. However, Lopez has been utterly dominant as of late, working to a collective 2.70 ERA with a 63-to-15 K/BB ratio in his past 46 2/3 innings (12.2 K/9, 2.9 BB/9). Both Baseball America and MLB.com listed Lopez as the game’s No. 59 overall prospect on their midseason rankings of baseball’s top 100 prospects. Friday won’t mark the MLB debut for Lopez, as he first surfaced in the Majors as a 22-year-old with the Nats last season. However, in six starts, he struggled to a 4.91 ERA, issuing 22 walks and reeling off five wild pitches in his 44 innings of work. Lopez picked up 44 days of service time last year, and he’ll have the opportunity to accrue another 52 days of service in 2017 if he sticks on Chicago’s roster. That best-case scenario of 96 days of MLB service will leave him shy of Super Two projection, so Lopez presently would not be eligible for arbitration until after the 2020 season. As it stands now, the earliest he could become a free agent would be upon completion of the 2023 season. The White Sox have announced that they’ve traded outfielder Adam Eaton to the Nationals in a deal centered on right-hander Lucas Giolito, as FanRag’s Jon Heyman previously reported. Dan Hayes of CSN Chicago reported that right-handers Reynaldo Lopez and Dane Dunning are also in the deal. The price to acquire Eaton, 28, proved extremely costly for the Nationals, who will send two of the game’s top 10 right-handed pitching prospects, Giolito and Lopez, to Chicago in order to acquire him (rankings via MLB.com). Beyond that, Dunning was Washington’s first-round pick (No. 29 overall) this past summer. The exceptionally steep cost to acquire Eaton is understandable, though, as he’s fresh off a season in which he batted .284/.362/.428 with 14 homers, 14 steals and perhaps the best right-field defense of anyone in baseball. Of course, the Nationals figure to put Eaton back in center field, where his glove isn’t as strong, but doing so will allow the team to put Trea Turner back at shortstop. And, with Jayson Werth hitting the open market next winter, the Nats could put Eaton back in a corner spot as soon as 2018 if GM Mike Rizzo adds a more premium defender next winter. Not only was Eaton worth six wins above replacement in the estimation of both Fangraphs and Baseball Reference last season, he’s also on a wildly affordable contract that guarantees him just $19.9MM over the next three seasons and comes with two affordable club options. All told, his earnings can top out at $38.4MM if both options are picked up. For five eminently affordable years of a player of that ilk, it’s not surprising that multiple top 50 overall prospects and a 2016 first-round pick were required to pry Eaton away from the White Sox, who very clearly appear to be in the midst of an aggressive rebuilding process. The Nationals had previously been in talks with the Pirates for Andrew McCutchen, with Lopez among the names connected to those talks. Their acquisition of Eaton would appear to shut the door on those negotiations. In Eaton, they’ve acquired a player who doesn’t have McCutchen’s power but who has superior secondary skills and is controllable for a longer period of time. As for Chicago GM Rick Hahn, he’s bolstered his farm system by a staggering amount in a span of roughly 26 hours, as he added Yoan Moncada, Michael Kopech, Luis Alexander Basabe and Victor Diaz in yesterday’s Chris Sale blockbuster with the Red Sox. Remarkably, the Nationals were reported to have offered both Giolito and Lopez in their offer for Sale, and despite making the decision to rebuff that offer, he acquired both ballyhooed righties just one day later. Giolito ranks as the third-best prospect in baseball, via MLB.com, which rates Giolito’s mid- to upper-90s fastball an 80 on the 20-to-80 scouting scale and regards his curveball almost as highly. Giolito raced from Double-A Harrisburg to the Majors in 2016, posting a 2.97 ERA, 9.1 K/9 and 3.4 BB/9 in 115 1/3 minor league innings and tacking on 21 1/3 more in the Majors. The White Sox’ plans for the towering 6’6″ righty aren’t yet clear, but he could easily become a regular big-league rotation option in 2017. Yahoo! Sports’ Jeff Passan tweets that the Nationals were “down” on Giolito, and some in the industry believe the Nats would have been willing to trade him in a one-for-one deal for Andrew Miller last summer, as Jon Morosi of MLB Network tweeted. 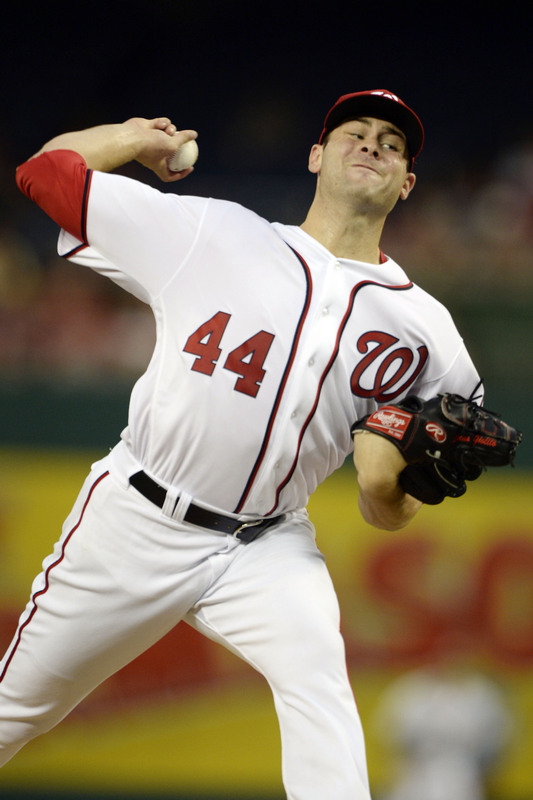 Still, Giolito retains enormous upside. Lopez is lesser known than Giolito, but brings a big arms of his own and rates 38th in MLB.com’s list. Like Giolito, he pitched in Harrisburg, Triple-A Syracuse and Washington in 2016, and he fared well in the minors before struggling a bit in the big leagues — he posted a 3.21 ERA, 10.4 K/9 and 2.9 BB/9 in 109 1/3 minor league innings. He’s smaller than Giolito, at 6’0″, but like Giolito and Kopech, he’s got an electric arm — he can dial his fastball into the mid-90s and touch higher. He figures to pitch in the big leagues for at least a good portion of the 2017 season. 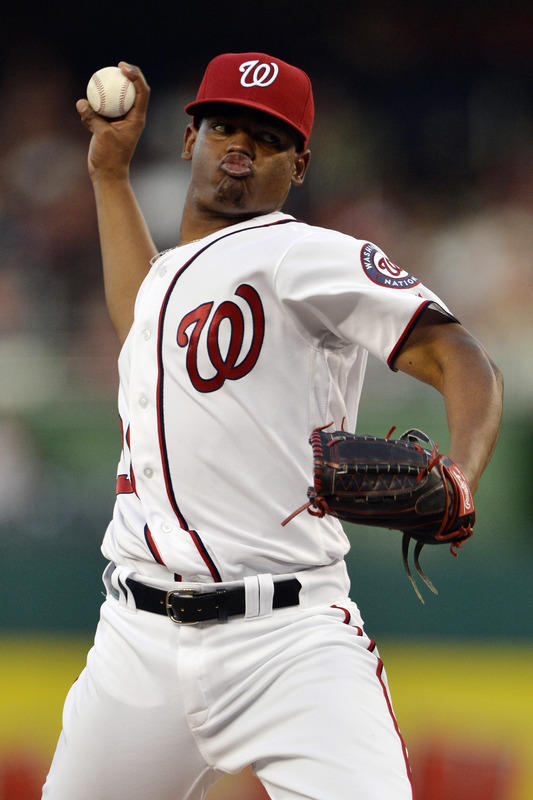 Dunning was the 29th overall pick in the June draft, and the 21-year-old rated as the Nats’ sixth-best prospect. Hayes tweets that the White Sox liked Dunning very much when they were scouting for the draft (when he was otherwise somewhat overlooked on a loaded Florida Gators team). MLB.com praises his fastball, which sits in the low- to mid-90s with good movement, and strong changeup. He made seven starts for the Nats’ short-season team in Auburn, posting a 2.14 ERA, 7.8 K/9 and 1.9 BB/9. He seems likely to begin the 2017 season at the Class A or A+ level, and he’s likely to be at least a year or two from contributing in the big leagues. 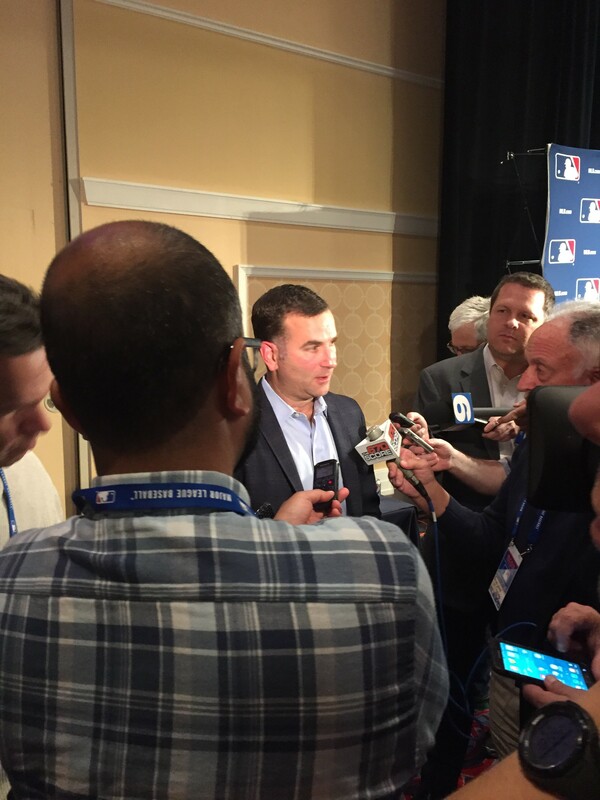 Morosi first said the two sides had talked earlier today, and MLB.com’s Scott Merkin said a trade was in the works. Ken Rosenthal of FOX Sports reported that the deal was close to being finalized. DEC. 2: Talks between the Nationals and Pirates have continued into the morning, tweets Stephen J. Nesbitt of the Pittsburgh Post-Gazette. The Pirates have been breaking down video footage of Nationals prospects this morning, he adds. The Nats remained “in the lead” for McCutchen as of late last night, per MLB Network’s Jon Morosi (on Twitter), though Morosi notes that the Rangers have been in contact with the Pirates about McCutchen as well. DEC. 1: The Nationals and Pirates have “ramped up” their negotiations on a possible deal involving star center fielder Andrew McCutchen, Jayson Stark of ESPN.com reports. There are indications that the Nats would like to wrap up an agreement today; it seems the club may well non-tender shortstop Danny Espinosa if it adds McCutchen. We’ve heard some chatter about possible pieces involved between these clubs, which reportedly explored a deal over the summer but couldn’t quite reach an agreement. The Bucs are said to be eyeing top outfield prospect Victor Robles, but it remains unclear whether the Nationals have any willingness to part with him. Stark notes that young, MLB-level pitchers such as Joe Ross and Reynaldo Lopez would hold appeal to Pittsburgh as well, and both (along with several other possibilities) certainly could be in play. The Nationals would presumably utilize McCutchen in center, where he has long played in Pittsburgh. There were newfound questions about his ability to stick there after metrics panned his work in 2016, though perhaps Washington would only need to commit to him in center for a single season. Still, McCutchen isn’t quite as appealing an asset in a corner position, particularly given the risk that he doesn’t bounce back after a .256/.336/.430 year at the plate. McCutchen also isn’t particularly cheap. With $14MM coming to him next season and a $14.5MM option for 2018, he’s hardly expensive. And that’s a pittance if he can return to his former superstar form. Having just turned 30, McCutchen represents a reasonable risk for a high-spending contender like the Nationals, though just how much willingness the team has to part with major young assets to take that chance remains to be seen.